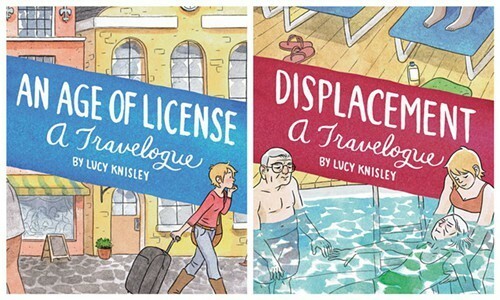 About three years ago, when she was 27 and single and awaiting the publication of her second book, the graphic memoir Relish: My Life in the Kitchen, comics artist Lucy Knisley had the opportunity to do some traveling. 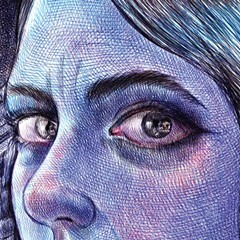 She spent one September in Europe, speaking at a comics conference, visiting friends, and having a sweet but doomed relationship with a Swedish man who lived on a commune. Six months later, she accompanied her grandparents on a Caribbean cruise as their caretaker. On both trips, as she does whenever she travels, Knisley kept a detailed travel journal in pictures. Afterward, when she looked at the two journals, she realized the trips were mirror images of each other: one about freedom and exploration and possibility, the other about responsibility and confinement and mortality. Now they've been published as companion travelogues: An Age of License, about the Europe trip, came out last September, while Displacement, about the cruise, appeared last month. Together, the books recreate a very particular stage of life. "You're at loose ends," Knisley summarizes. "You're flailing. You feel like, 'I am on Mars right now.'" Both books have an air of ease and spontaneity, like a letter from a particularly engaging and observant friend rather than a carefully planned-out narrative; this is reinforced by the free-form arrangement of images on the page, rather than regimented panels. But while the journals have been published pretty much as Knisley originally created them, it would be a mistake to think of them as something dashed off. 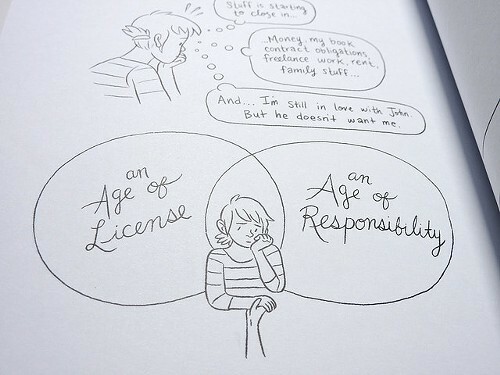 They're the product of many years of practice and habit, not just drawing, but also thinking. Knisley refers to it as "muscle memory." She explains, "You develop an instinct of what to include and how much to include at various points. I have enough distance to process everything on the go. I force myself to work quickly and keep going." Knisley's also conscious of her role as storyteller. In An Age of License, her Swedish lover Henrik tells her he can't believe she shows so much of her private life in her work and admits he's a little nervous about showing up in it. And in Displacement, she's conscious that, although she's the narrator of this particular story, she wants the focus to be on her grandparents. "Not to be a main character in your own story seems like a metaphor for that stage of development," Knisley observes. "I found it sad." Throughout the trip, Knisley reads her grandfather's memoir of World War II. It's actually a pretty thrilling tale, full of narrow escapes and brushes with death, which contrasts with the isolation and tedium of a cruise. (Knisley and her grandparents discover almost from the very beginning that they are not cruise people. "It's the least authentic form of travel," Knisley says. "There's no connection to where you are.") "I wanted to draw a parallel between myself as storyteller and my grandfather as storyteller," she says. She also tries to use the memoir as a way to jog her grandparents' memories and start conversations about their lives. 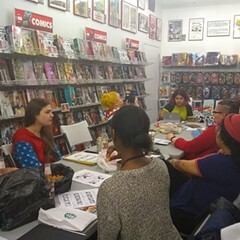 Even though her comics are about herself and her life, Knisley has always used her work to connect with other people. "I got into comics at the School of the Art Institute," she says. "I felt like there was a gulf between me and the other students. I didn't have any friends. I started publishing comics about my experiences in the school paper. Other students started contacting me. Professors said they'd felt the same way when they were in school. I learned that I could share my story and it could resonate with another person. It's been addictive." It's because she felt her experiences would resonate with others that she decided to publish An Age of License and Displacement. "I took a trip to Africa that year to write about food for Saveur," she says. "I was amazed by the beauty of Africa. But when I came home, I saw that there wasn't much more to it than 'Oh, my God, elephants!' A story needs to have a broader meaning." Knisley's glad, though, that she's been able to chronicle that phase of her life, which has since ended. The book she's currently working on, Something New, is about how, in the span of two years, she went from being a single New Yorker to a married Chicago homeowner. Like Relish, it's a formal book, paneled out and scripted. The final draft is due in a month in a half. "After that," she says, "maybe I'll go on another travelogging spree. But not a cruise!" 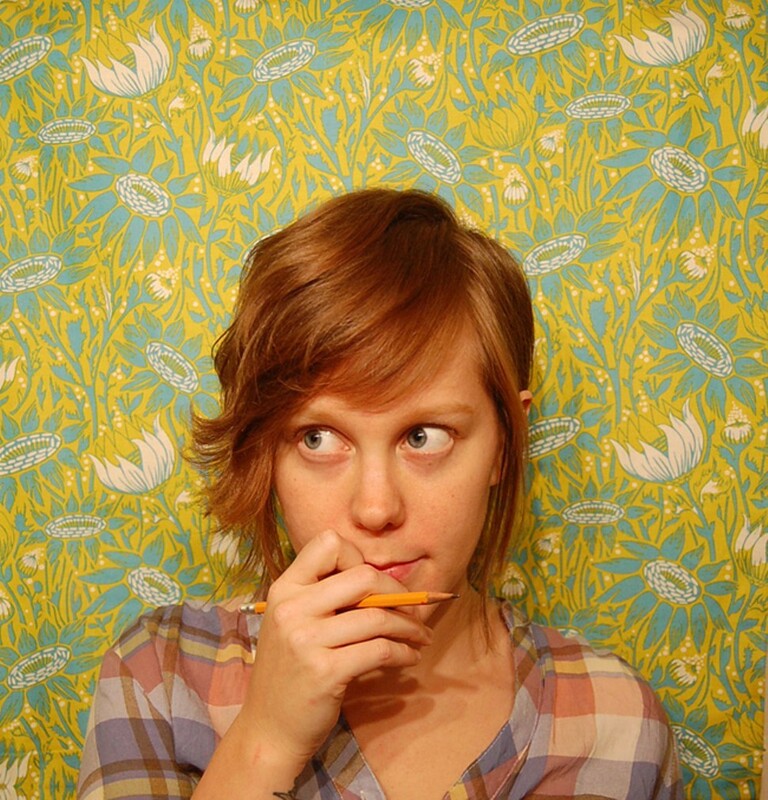 Lucy Knisley will be reading this Friday 3/20 at 7:30 PM at Women and Children First.